Anniversary clock, made in Germany by “Badische”. Sometimes known as a torsion clock, this clock will go for a year on one wind. These clocks were often given as wedding presents, and were wound once a year on the occasion of the couples wedding anniversary. 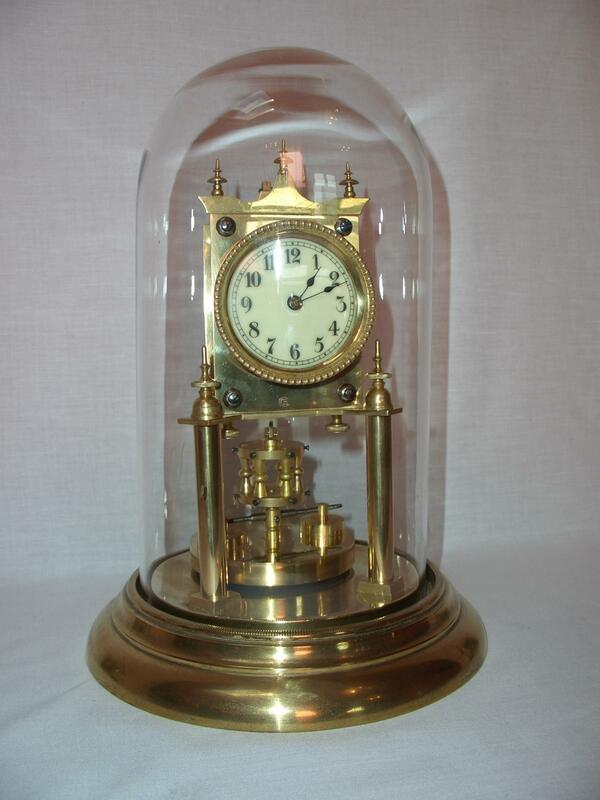 This clock has a 6.5cm porcelain dial and disc pendulum, and original glass dome. Fully restored with one years guarantee. German anniversary clock. 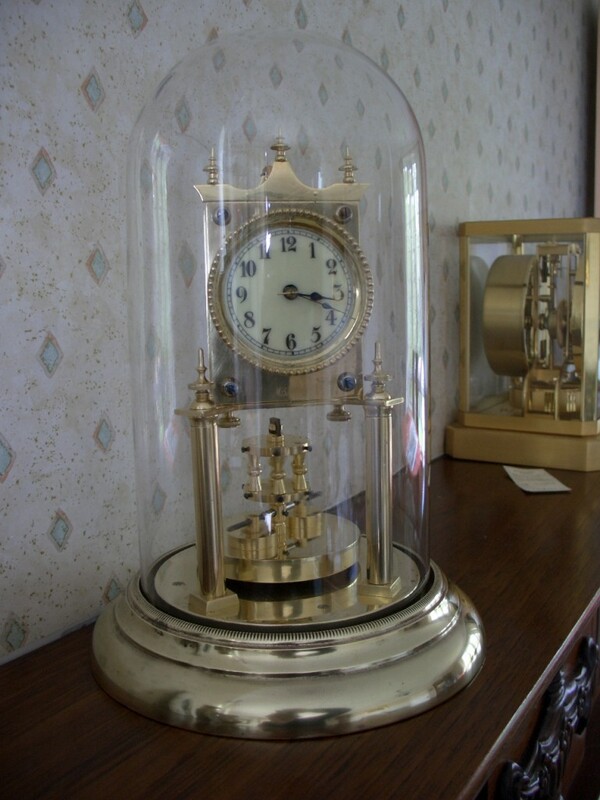 With original glass dome and engraved silvered dial. Will go for one year when wound. Fully restored with one years guarantee. Ref: h9100.